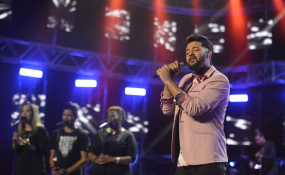 It's a healthy mix of thrill and anxiety as we get closer to witnessing who will be crowned winner of Idols SA Season 14! This week the Top 5 are taking us to church as they perform alongside the highly revered Soweto Gospel Choir! Plus for their second rounds of performances they switch things up and give us their own renditions of modern hits in the aptly themed 'This Is Now' segment.